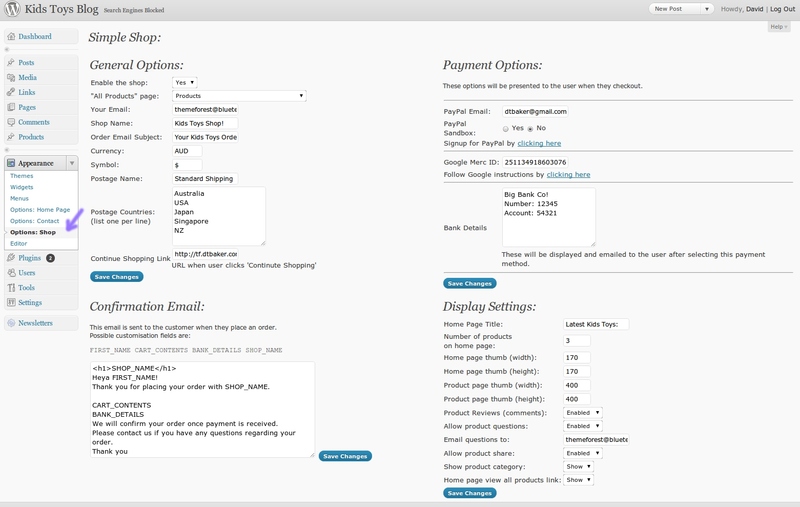 This WordPress theme now supports the excellent WooCommerce shopping cart system! 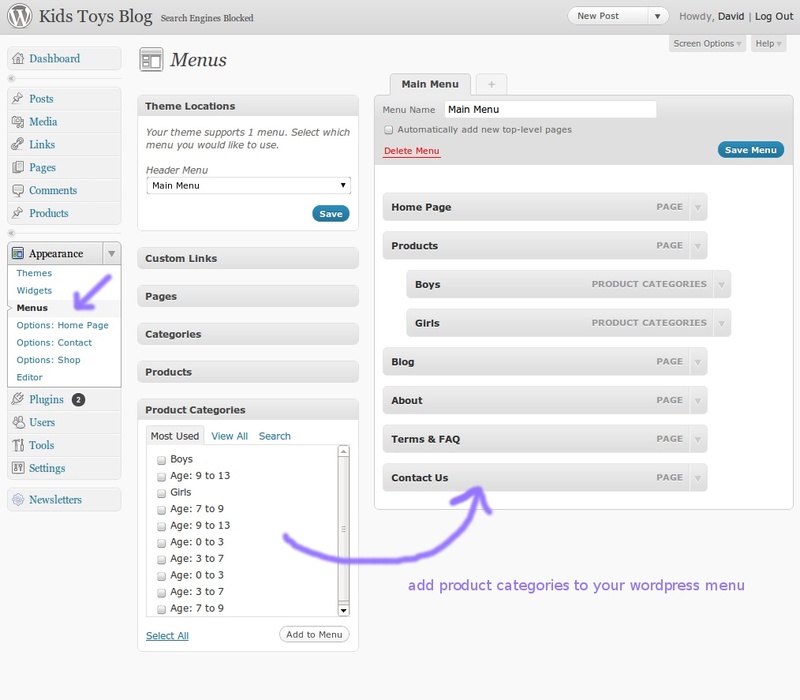 view WordPress Shop Home Page – latest products, blog posts, and widgets. 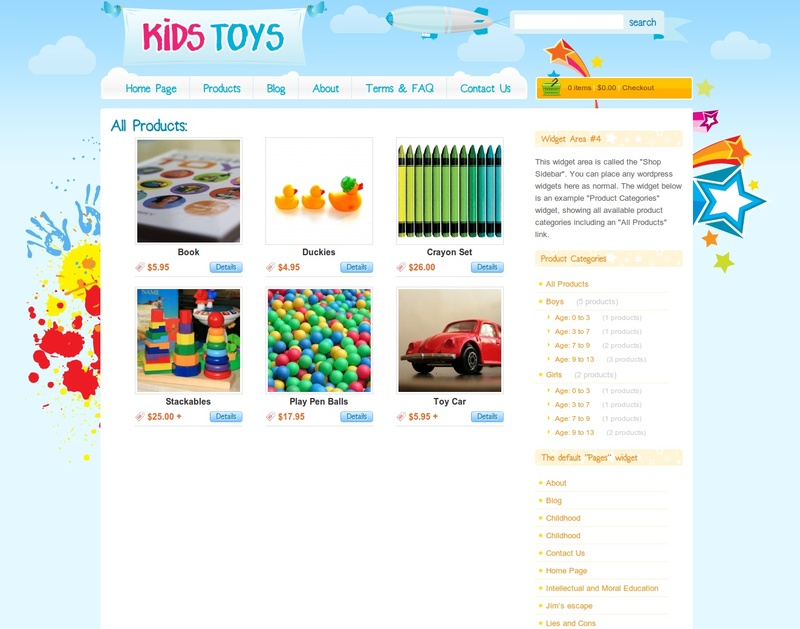 view The “All Products” Page – showing all products and shop categories within the sidebar. 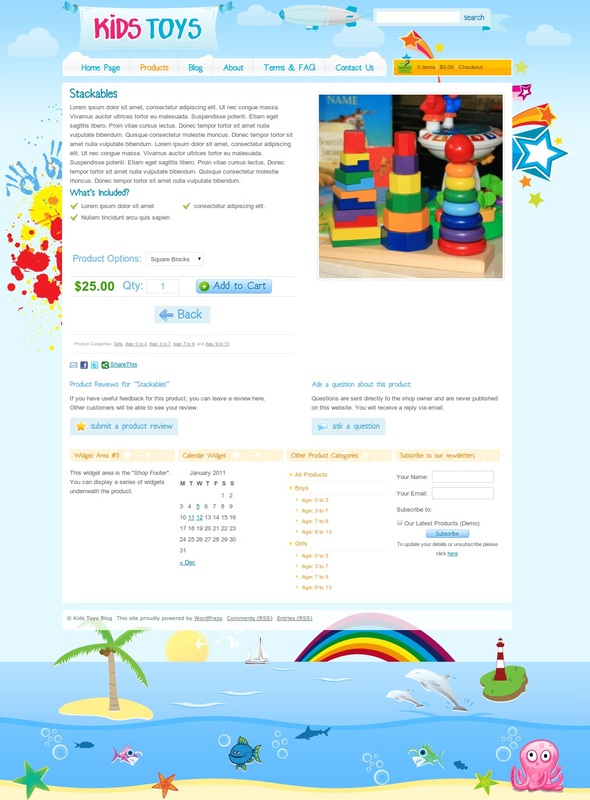 view An example Full Product page in this wordpress shopping cart. 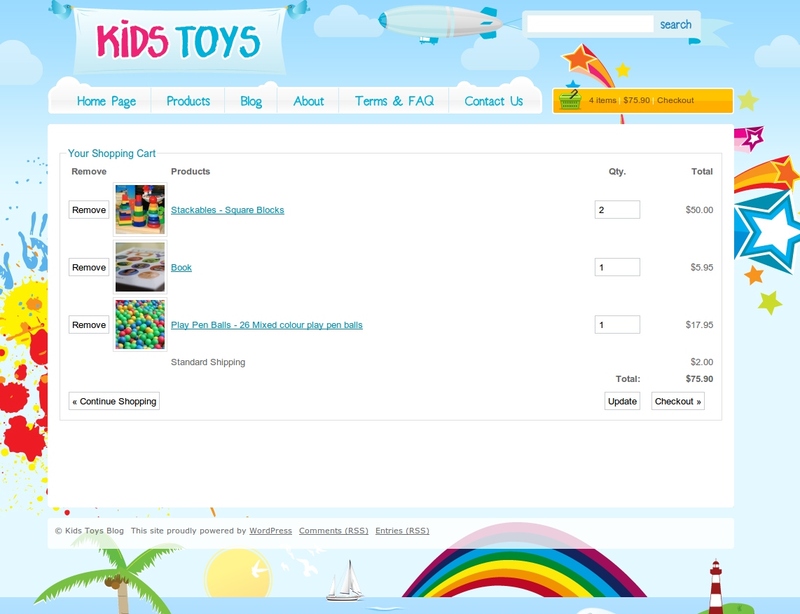 Click add to cart to see the cart update. 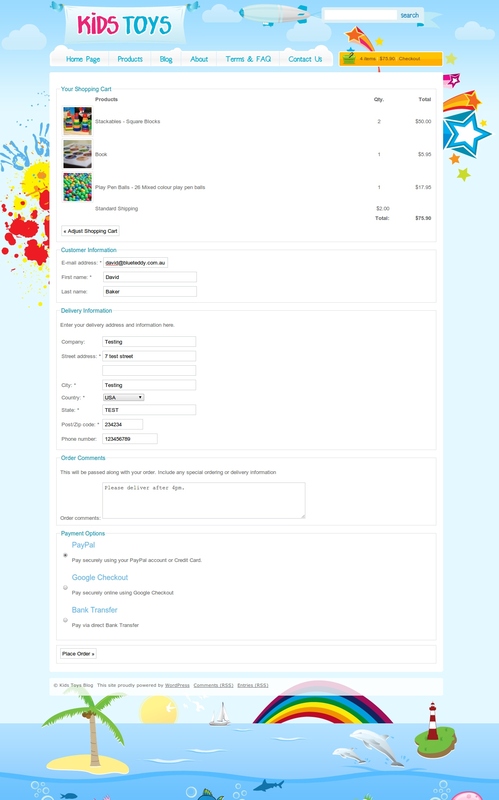 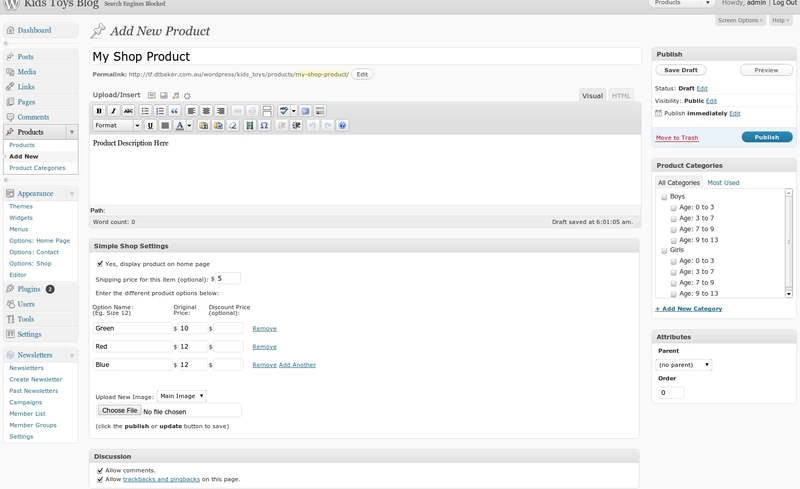 view Screenshots of the wordpress shop and backend options. 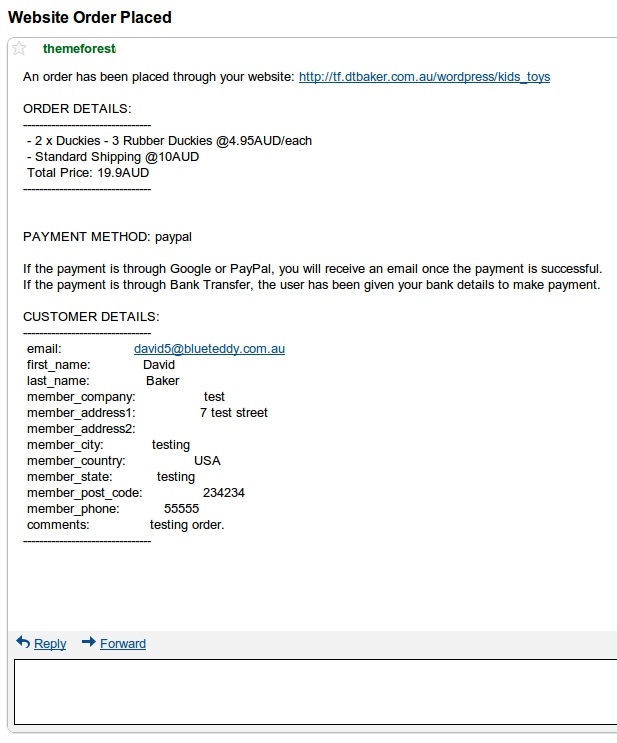 Check out some of the shop settings and previews of the order confirmation emails. 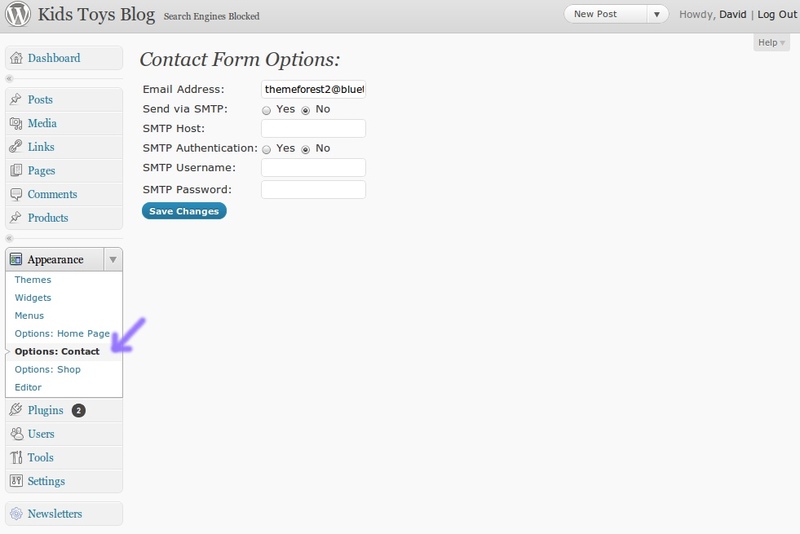 view The contact page built with the popular contact form 7! 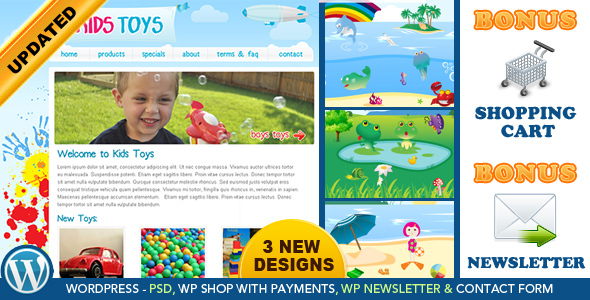 Note: moderate skills in photoshop, html and css is required to make changes to this template. 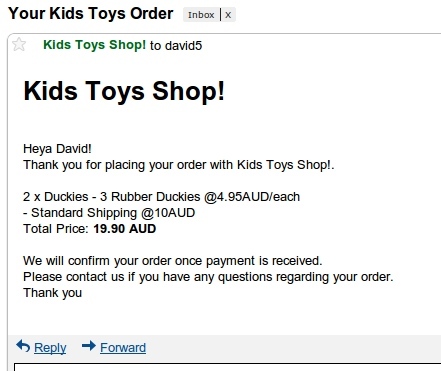 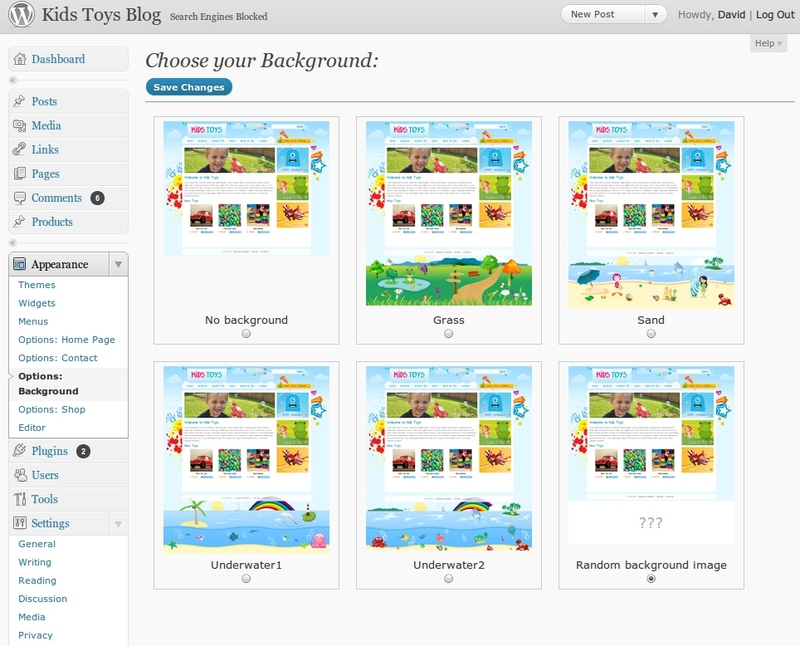 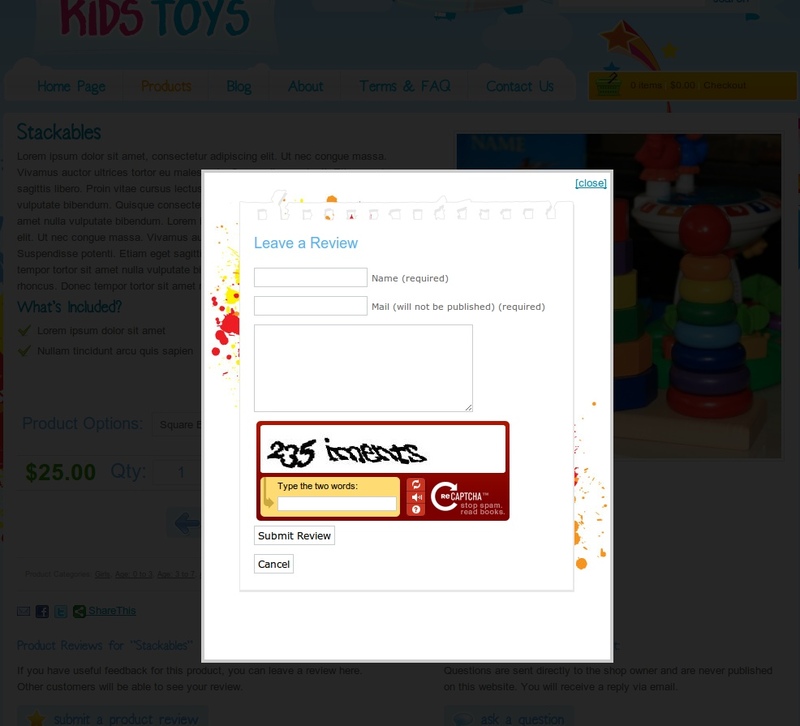 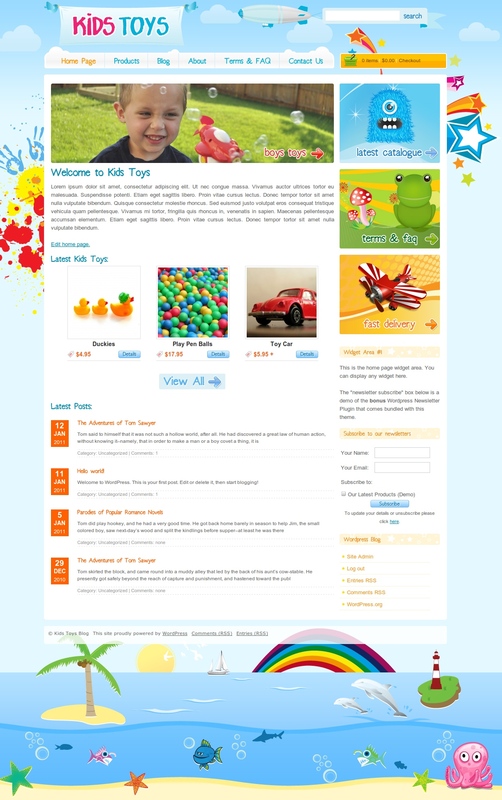 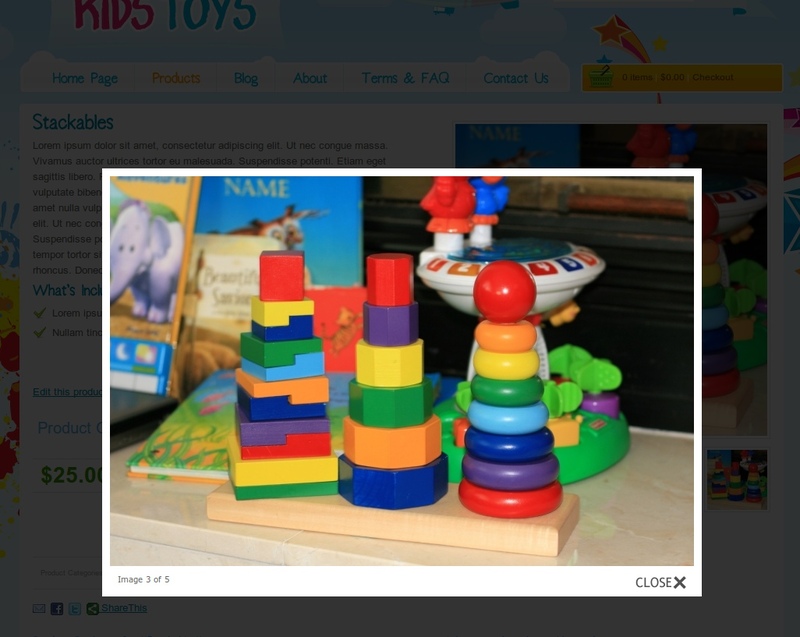 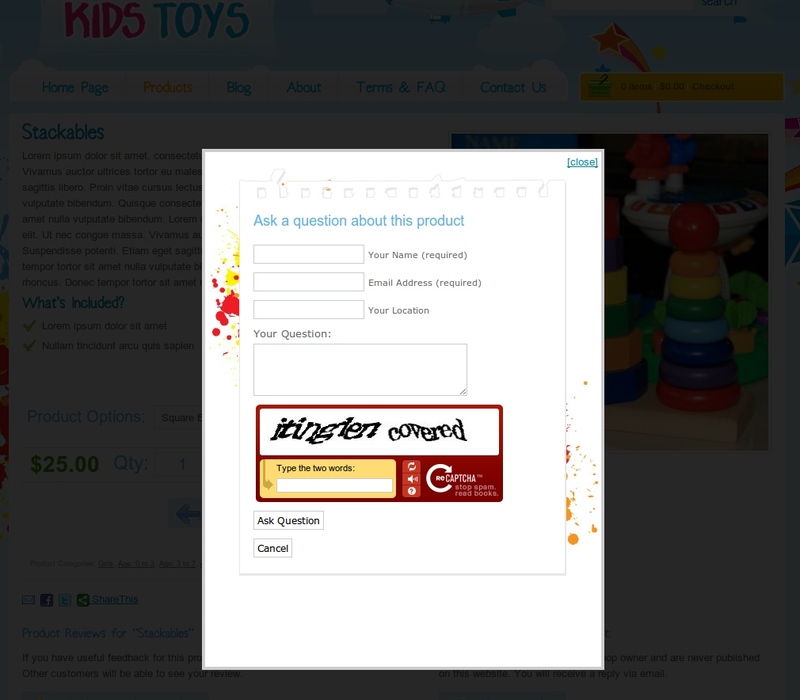 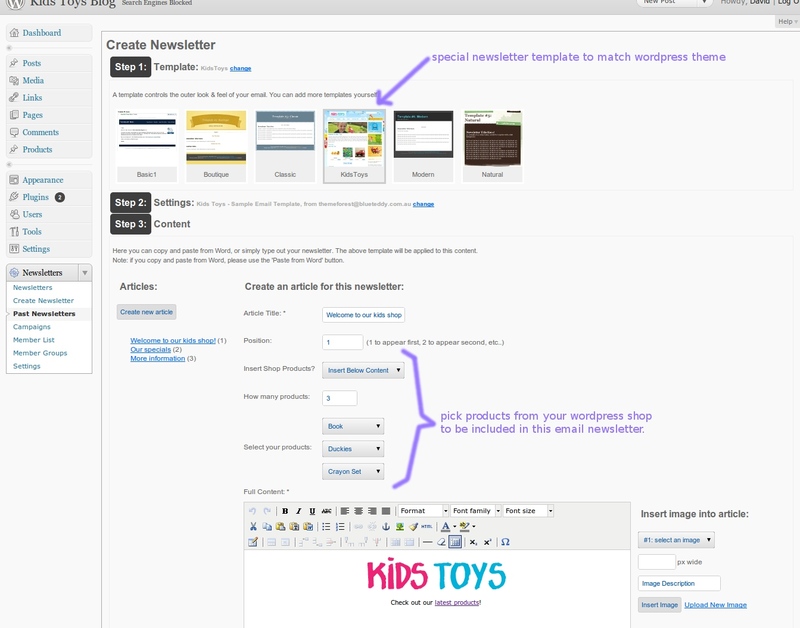 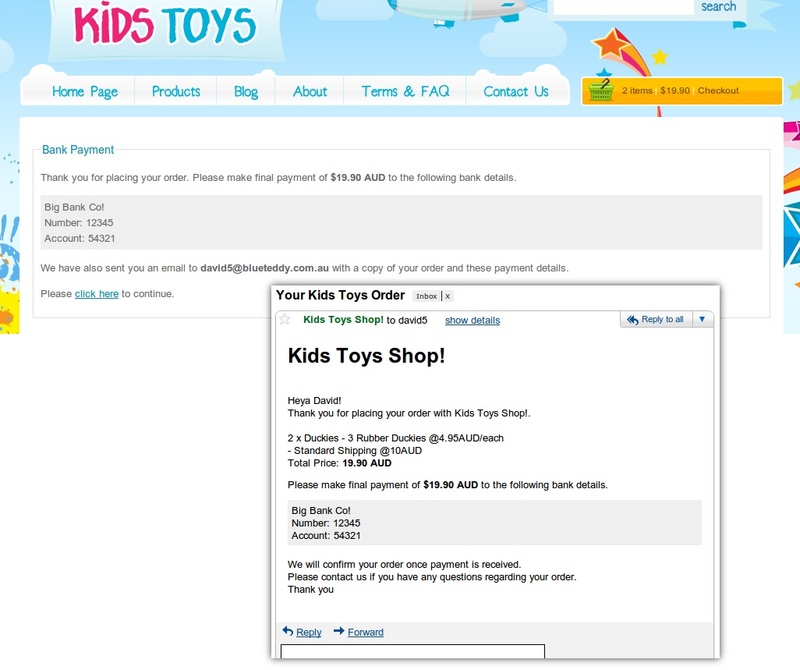 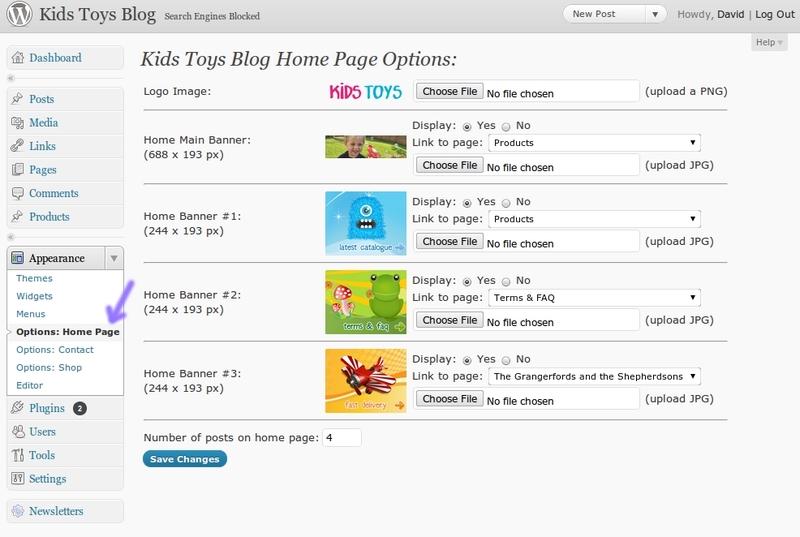 This is the much anticipated Wordpress version of the Kids Toys HTML template.